Successfully Added HK Warehouse UMi Diamond X Smartphone - Android 6.0, Quad-Core CPU, 2GB RAM, 4G, Dual-IMEI, OTG, 5-Inch Display (Gold) to your Shopping Cart. A stunning 5-Inch IPS display lets you enjoy all your mobile media and entertainment in absolutely gorgeous quality. Displaying extra bright colors and coming with an ultra-wide viewing angle – this 5-Inch smartphone truly lets media come to life in the palm of your hand. To increase your mobile entertainment experience even further, this Chinese smartphone packs the Mali-T720 graphic’s unit that allows you to enjoy the most graphically demanding games in mesmerizing detail. Along with its Quad-Core CPU and 2GB of RAM, you’ll be able to take on the latest games, HD movies, and most demanding applications the industry has to offer without dropping a frame. Coming with 16GB of internal memory and the added possibility to insert an additional 128GB of external storage provides you with plenty of space to save all your files and media alike. Head out to the Play Store and download the latest mobile games and Applications, or stream an HD movie online in no time – thanks to 4G connectivity you’ll be able to browse the web and download files in lightning speeds at any time of the day. Further enhancing your connectivity are the phone’s Dual-IMEI numbers. Being able to connect to two 4G network providers simultaneously and being reachable on two phone numbers while using just one device allows you to stay connected to friends and family no matter where you’re at. Packing a massive energy efficient 2650mAh battery, the UMI Diamond X holds enough juice to get you through the most demanding of days without needing to worry about battery life. Additionally, this Chinese smartphone features OTG, allowing you to connect external hardware devices to your smartphone. Not only does this feature allow you to connect hard drives, keyboards, or gamepads to your device - it also allows you to use your smartphone has a portable power bank to charge other electronics. From now on you can head out with confidence as, with this smartphone at hand, you’ll never be running low on energy again. 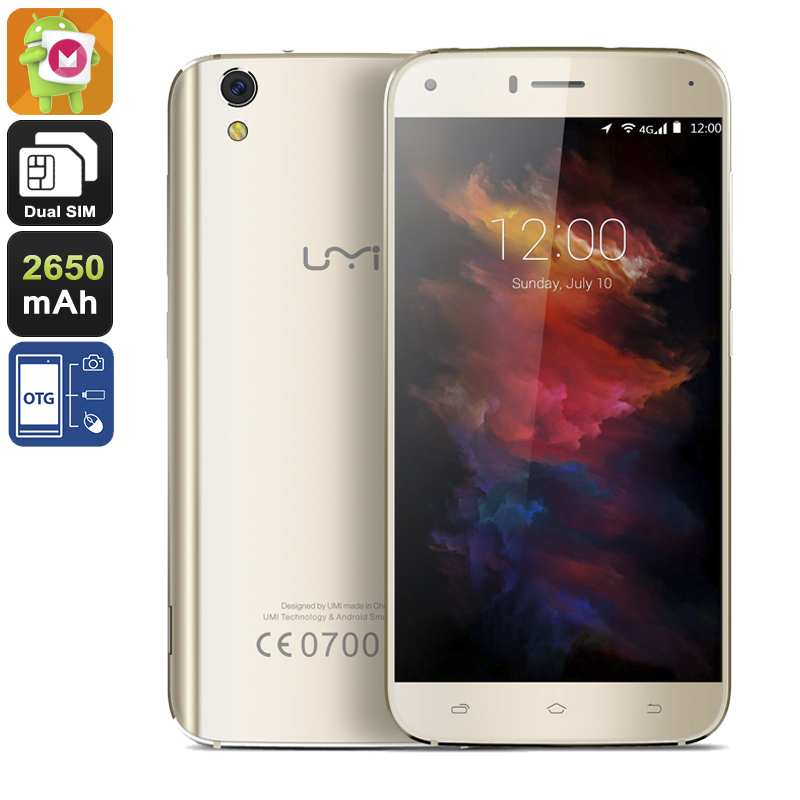 The UMi Diamond X comes with a 12 months warranty, brought to you by the leader in Android phones as well as wholesale electronic gadgets..